Our Columbia, MO law firm is routinely asked about assisting clients with arbitration situations. Arbitration typically occurs once a contractual business relationship encounters difficulty between the two parties. Arbitration allows conflicts to be resolved through the use of a neutral third-party arbitrator This person receives and reviews the contract, examines supplied evidence and listens to the two parties involved. At the end of the process the arbitrator makes a decision. 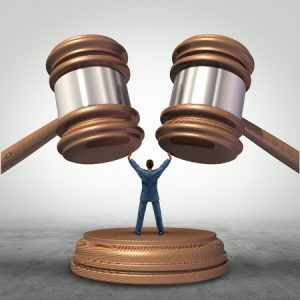 Arbitration is a level of effort and expense that is less than the court system, but more elaborate and typically more binding than negotiations and meditations. Does your case need an arbitrator? Oxenhandler Law’s arbitrator, Gary Oxenhandler, has frequently performed performed the role of arbitrator in the state of Missouri for the last 14 years. Gary was a Circuit Judge for 14 years in the Division II bench of the 13th judicial Circuit. If your case needs an arbitrator, we’d like to encourage you to contact us at your earliest convenience. Please call us today as (573) 449-2929. Does your side need an attorney that specializes in arbitration cases? Our arbitration attorney, Gary Oxenhandler, has been involved in hundreds of arbitration cases serving as either a party’s attorney or as the neutral arbitrator. Gary is well versed and has demonstrated a knack for assisting individual clients and businesses through their arbitration cases. His ability to design a plan and strategy for clients always takes into account the legal maneuvering associated with the arbitration clause being addressed. Arbitration clauses frequently have varying definitions of how the arbitrator mush be selected, who pays for the legal fees, and confidentiality clauses.j Gary is an expert in these fields and has represented both corporate entities and individuals through the arbitration process. 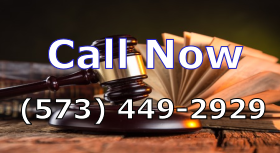 If you are seeking an arbitration attorney to represent you in a case, we’d like to encourage you to contact us at your earliest convenience. By the end of the first conversation, you should have a much better insight into how the law can help you get what you want. Please call us today as (573) 449-2929.